SOMOS+, Alexander Perez Rodriguez, DATE — With the new relations between the U.S. and Cuba the hopes of many went skyrocketing in an alarming manner, principally in the Diaspora, where people dream of returning to their country and prospering there in a dignified way. I already imagined my city as totally changed, with new streets, shops full of everything a human being needs and no ration book to restrict them. Well, finally the moment arrived to go and visit my family on the island. I remember that on this occasion I exited the airport earlier than usual. I only had to enter Calzada de Boyeros to have all my illusions fall away. Everything, absolutely everything, remained the same or worse than when I was there a year ago. I left for the outskirts of Santiago de la Vegas Carretera Rincón to go to the municipality where I was born. Those who know San Antonio de los Baños will share with me that it’s a very unusual and attractive town. At least it always was. We never knew when this change was discussed and who approved it. However, there have been many events in these last few years that have brought the town a pure disaster and wiped the smiles off our faces. We still remember and bleed for the loss of the 14 young people who left the coast of Mariel to go to the U.S., and their precarious boat sank. This grief today is kept alongside a rage that is on the point of exploding. However, the events of these last months have put San Antonio in a desperate situation. News like the Computer Science University’s passing into the hands of the Minister of Education has made many of the workers who were from my town believe that things are hopeless. The same thing will happen with the Eduardo Abela School of Art, since the level of deterioration in less than five years is incredible. The Iván Portuondo Hospital is also in critical condition. When I asked why my town was so deteriorated, they sat me down and explained: Only two months ago, all or almost all of the leaders of my town had fallen victim to an investigation, presumably for embezzling funds. But in spite of having a new municipal directorship, people don’t seem to have accepted it, at least in fact. Because no one has given a concrete explanation of what happened. It’s not possible that this not be published by the State agencies when it’s an issue for a whole town. The result: Today San Antonio is a town where nothing works. Everyone whispers about the problem. I remember when I arrived at the physical planning office to manage my house and they told me the paperwork wasn’t there because the Director’s signature was missing. I asked where I could find her and, very mysteriously, they informed me that a doctor confirmed she had a psychiatric problem. It seems she was embarrassed about it, and thus all the State agencies in my town couldn’t function. There’s a lot of sadness and indignation because that president, Tomy, was respected and admired by the town. Everyone concurred that whether or not she ripped things off, in any event this had been happening their whole lives. And everyone agreed that the only time the streets were fixed was under her leadership. When there was a lack of water, she found a solution. She paid attention to many people who were not important and helped them. That’s the Tomy the people remember. The culprits appear to be others: the upper Government, those who have disengaged from Cuba for more than 55 years, and no one has audited them and called them out for everything the people have suffered. It’s sad to see the condition of my town. Nothing pretty remains. 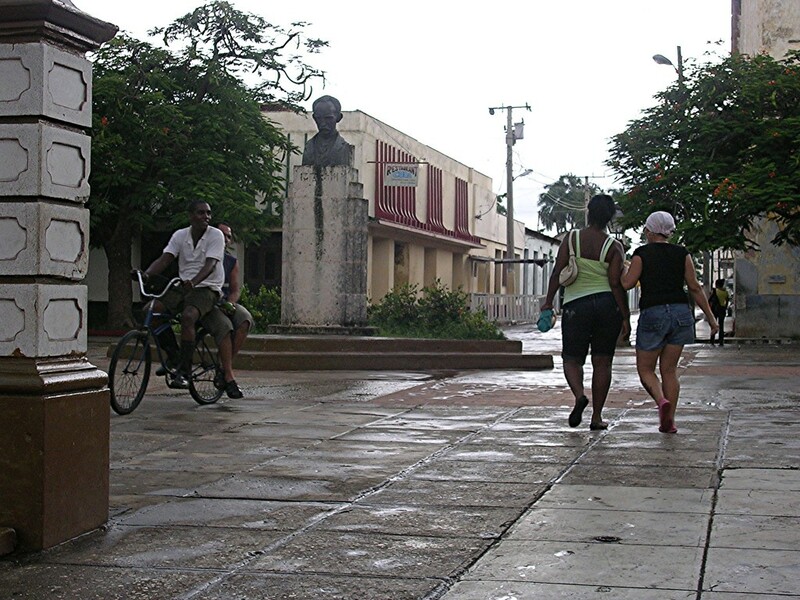 It’s ugly, very deteriorated and the schools are in the worst condition; the hospital, the hotel, the Cecropia trees, the shops and the bars are very dirty. My god, how it hurts to see my town in this condition. But I know and am certain that one day, not far in the future, my town will look different. It will return to its youth. Now, we can’t make the many who have perished at sea fleeing a lack of opportunity return. But we can guarantee a more just and equal society where young people don’t have to flee as if they were guilty. We are more, much more, those of us who every day struggle for this dream and know that it will come true, and soon. *Those who live by the Ariguanabo River, which runs through San Antonio de los Baños. **A political-administrative redistribution in Cuba created two provinces for San Antonio de los Baños, and Habana Province became Artemisa Province.